Do you ever have them weeks which are completely hectic and sometimes you just need to sit down, close your eyes and think about what's going on around you and where you need to go next? Yep, me too! And this past week was one of them weeks. I don't think I have had a week as busy as what the past two have been; I haven't stopped. 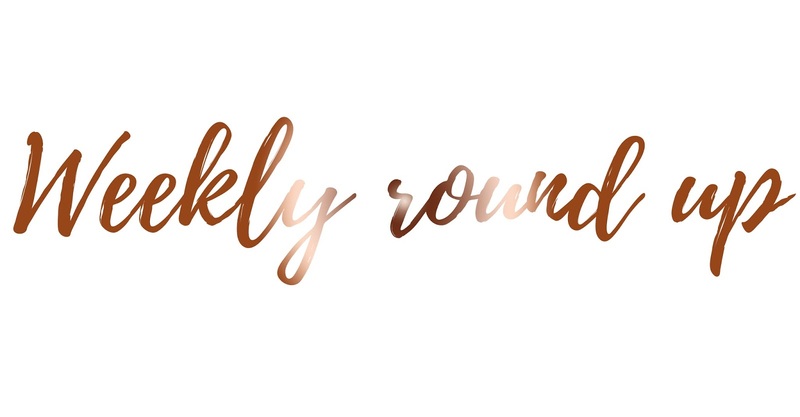 As I mentioned in last week's weekly round up, I've had a few hospital appointments to do with my headaches/migraines and whether or not there are any issues with my sleep or my brain which is why I wake up every single day with a headache. This week I had my MRI scan and as nervous as I was, it wasn't that bad! It's literally like laying in a smartie tube listening to the worst noises you want to hear right in your ear, even with ear plugs in; the noise wasn't any quieter. Hopefully in the next few days I'll hear back from my doctor about how my MRI went and if there are any issues in that area; I'll be sure to update the process here on Kimberley Jessica. This week I also went to two open days at two different universities while also enrolling back at my current university ready to start University today; what a mad day that was. I haven't really spoken much about what's going on with University and what my plans are for next year apart from a couple of comments here and there on my study gram (@kjstudies). However, I do plan on writing a full post about what's be going on and what's changing (or what isn't changing). So make sure to keep an eye out on that. The past couple of weeks I've been thinking a lot about my blog, where I want it to go and what to continue writing about and I would love to have you input on this. Are there certain topics you prefer me writing about? What's your favourite posts here on Kimberley Jessica? Any input would be extremely grateful! Have a great week and let me know what you have planned for this coming week as we approach October.